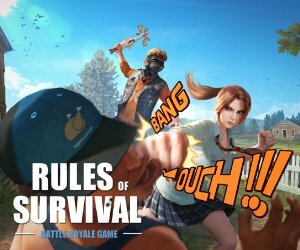 GamingPH.com – Gaming Philippines Game Review, eSports & More..
Battle Royale Game Cyber Hunter soft Launch begins Today! A new event is set to release on the month of April for Ragnarok M Eternal Love (Mobile). The event will starts on April 1st and ends on May 1st. Here is the event detail of Goblin Spring Celebration. ..
Cyber Hunter, the open-world battle royale game has launched in Singapore, Malaysia, and Indonesia, and here comes for the player around Thailand and Philippines! It is an interesting battle royale game .. The time wormhole has been activated! Ultraman will travel through time and space to protect you! Regarding classic shows from our childhoods, Ultraman is one of the most special ones. Back then, everyone ..
Good news everyone! The official Facebook page of Ragnarok M Eternal Love finally announce their upcoming Episode 4.0 update which will be available in the game. This also means, players can unlock the 3rd job class. ..
StygianForce introduces the complete mobile gaming accessories kit with 5 essential products to take any mobile gaming experience to the next level. The StygianForce Professionals Kit (“SF Pro Kit”) .. If you’re curious of some players in the game are dancing and cheering and have no idea on how to do that. Well, we also struggle how to that in the game and ending up asking the other players party .. Improving the visual quality while keeping the classic look. This is how the first art preview look like in the Command & Conquer Remastered. EA just revealed in a Reddit Post the first art preview ..
For the month of April, a new gachapon is now available in Ragnarok M Eternal Love (Mobile), a Coco Brulee Kitty Series Costume that will make your character turns into a kitten like pastry chief. The new costume ..
Do you still remember the Tetris Battle on Facebook a few years ago? It is one of the most addicting games back then where you can play Tetris with your friends or other players around the world. The game .. The devastation that destroys some parts of the 850-year-old cathedral Notre Dame in Paris could be rebuild the full glory using the digital version of the building from the game Assassin’s Creed ..
A live concert event is finally happening in the game Ragnarok M Eternal Love in three SEA countries. The first music performance will happen in Thailand and follows in the Philippines and Indonesia. Tickets ..
What is the Difference between VR and AR for Gaming? Although VR and AR technology has been around for a while, its application in the world has been limited. Most people only know AR because of Pokémon Go and VR thanks to Oculus Go and the PS VR games. ..
3 nationals champions have been crowned MANILA, Philippines, April 8, 2019 — After more than three months of search, the Philippine Pro Gaming League 2019 finally crowned the country’s best Arena of Valor, ..